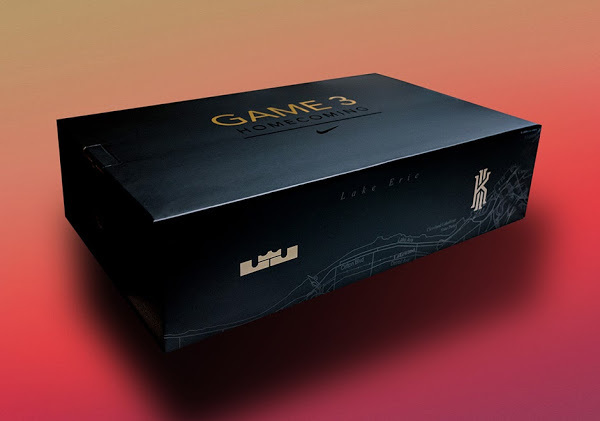 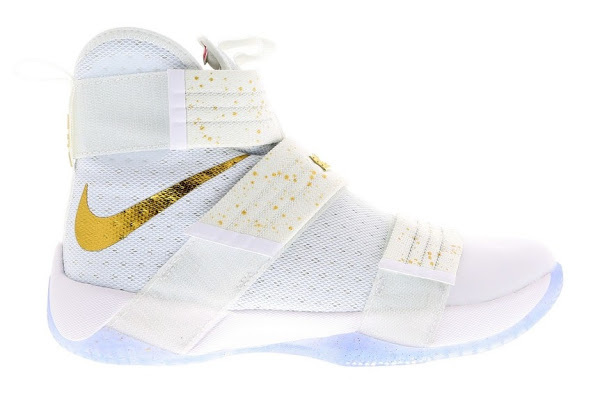 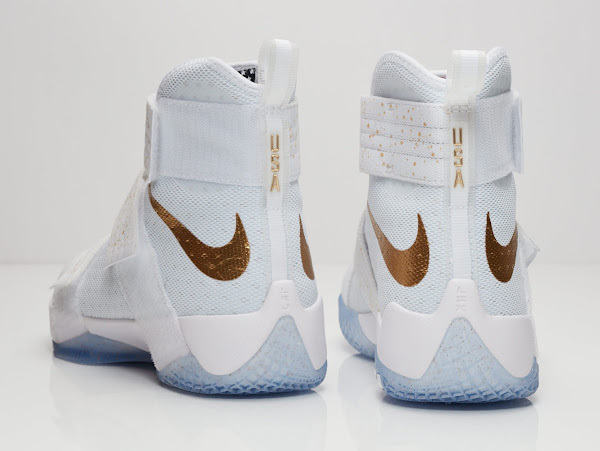 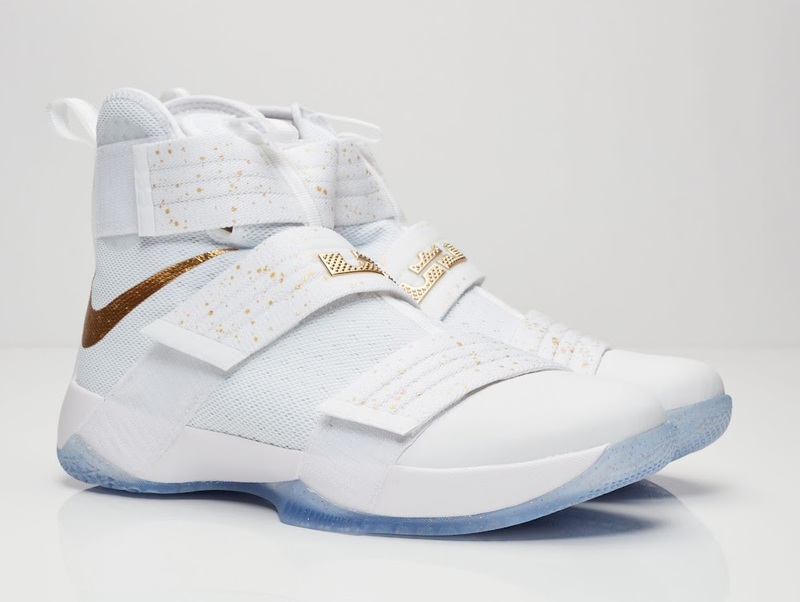 Available Now: Nike LeBron 13 Elite "Linen"
Coming Soon: Nike LeBron Soldier 10 "Gold Medal"
Following the success of the United States men’s basketball team that beat Serbia 96-66 to win the final gold medal of the 2016 Olympics, Nike released a special set of shoes. 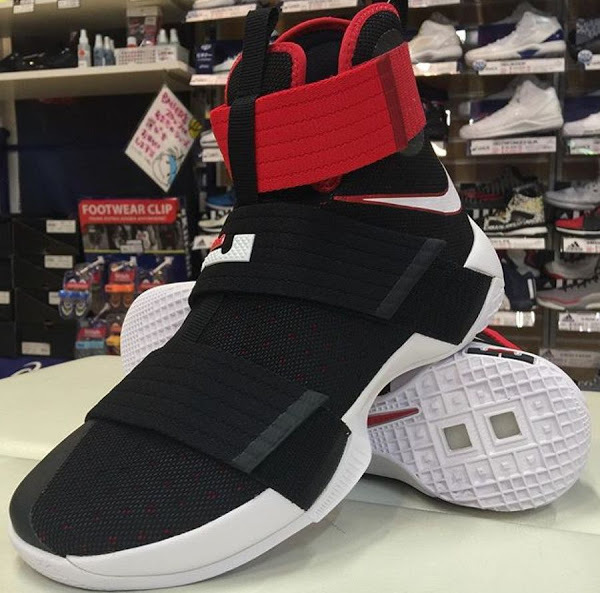 The pack includes the Nike KD9, Kyrie 2 and the LeBron Soldier 10. 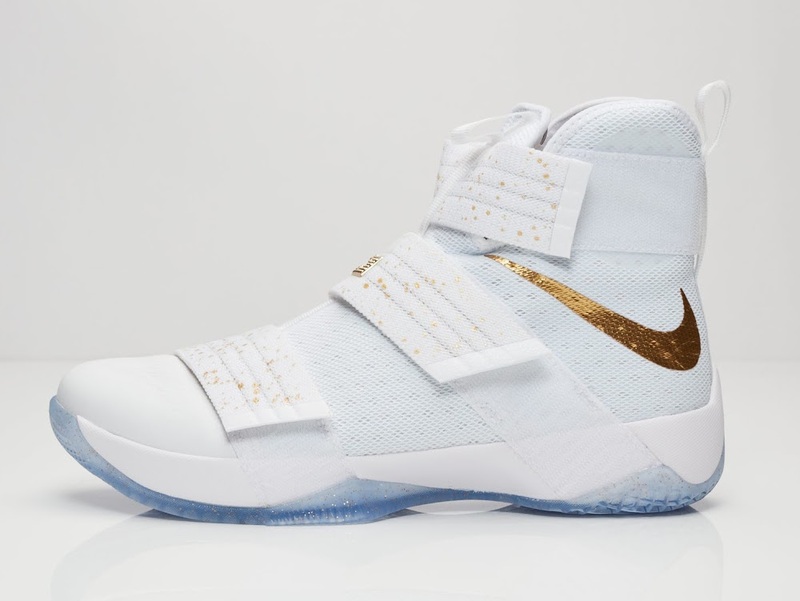 The LeBron Soldier 10 Gold Medal combines a subtle White/Metallic Gold colorway that looks very similar to LeBron’s NBA Finals PE. 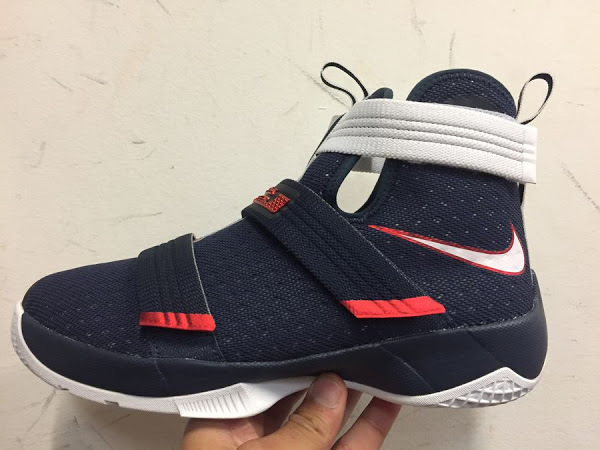 Mismatched Red and Obsidian insoles are all about that patriotic bond that holds the team together. 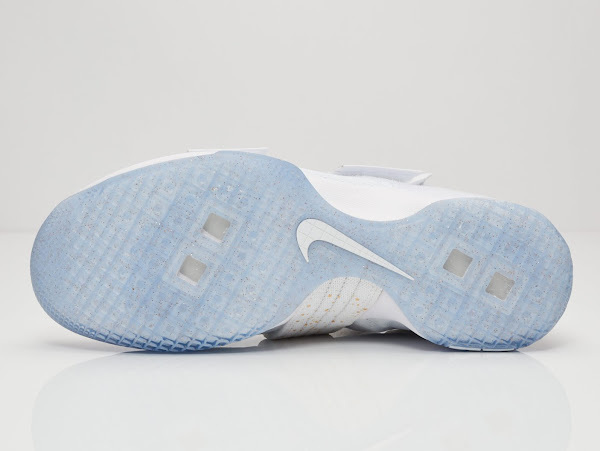 The luxurious looking USA logo on the heel tab combined with an icy outsole make for the perfect finish. This Gold Medal look is available now at Nike Basketball retailers all over globe. 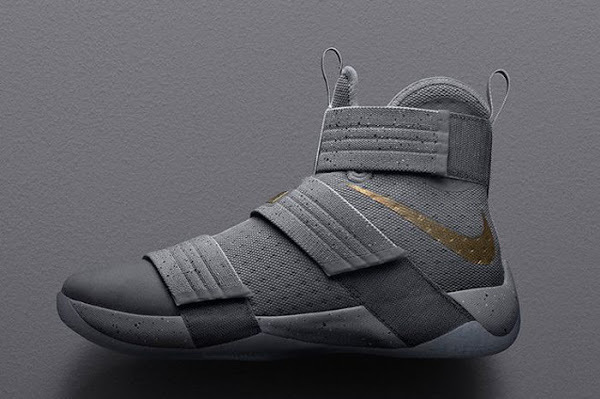 18-08-2016 Coming Soon: Nike LeBron Soldier 10 "Gold Medal"
28-10-2016 Release Reminder: Nike LeBron Soldier 10 "Battle Grey"